Enjoy a nice evening, with or without the kids! 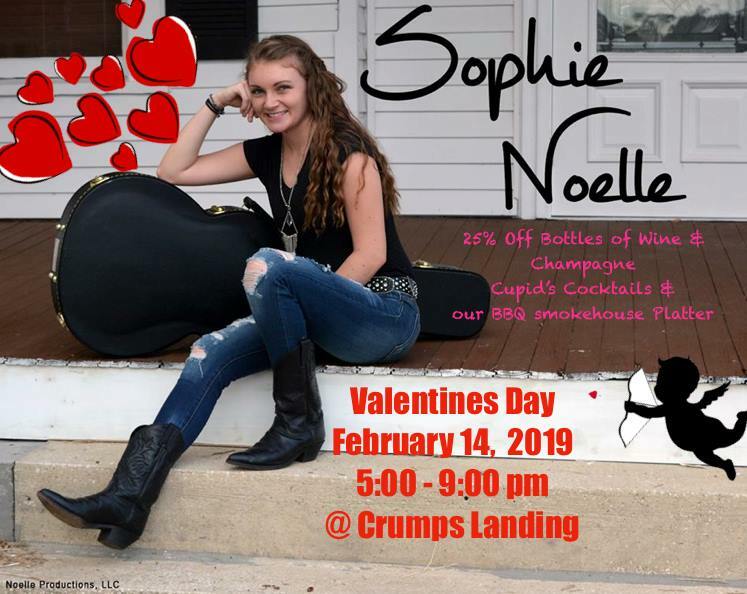 Have some drinks on the dock and let Sophie's voice and talent take you away! Perfect for a romantic date on Valentines Day! Of course our Thursday will still include corn hole tournament and our famous smokehouse BBQ platter!